Driving a car is a complex task for a brain to coordinate. A driver may drink a cup of coffee and have a conversation with a passenger, all while safely piloting a vehicle through traffic. But all of this activity requires attention—that is, concentrating on the tasks and sources of information that matter and blocking out those that don’t. How the brain manages that orchestration is a long-standing scientific mystery. One prominent view, based on findings from human behavioral studies, is that the brain guides us through a world chock-full of sensory inputs by focusing a metaphorical spotlight on what it deems important, while filtering out relatively trivial details. Unlike some other, functionally well-defined aspects of cognition, this attentional spotlight has eluded scientific understanding. 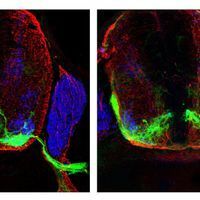 Its neural substrates have been particularly difficult to pin down to specific activities and locations in the brain—although several studies have implicated the frontoparietal network, which spans the frontal and parietal lobes of the brain. Meanwhile, attention studies involving visual tasks that require continuous focus—detecting a small object flashing on a cluttered computer screen, for example—have shown that task performance varies over short time intervals, with episodes of peak performance and of poor performance alternating on millisecond timescales. Such research suggests that the attentional spotlight might not be as constant as once thought. 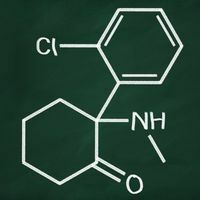 Yet, until now, researchers have not been able to directly connect these changes in performance to fluctuations in brain activity. To get some answers, Sabine Kastner, a cognitive neuroscientist at Princeton University, and colleagues recently conducted two studies to investigate how primates process visual information over time, as the brain maintains attention. For the first study, the team trained two macaque monkeys to complete a computer monitor–based task. In each trial, a small, c-shaped cue flashed somewhere on the screen. Then, between 300 milliseconds and 1600 milliseconds later, a square appeared. If that square appeared in the same position as the cue—which it did in around 78 percent of the trials—the monkeys could earn a juice reward by releasing a lever within about half a second of the square appearing. 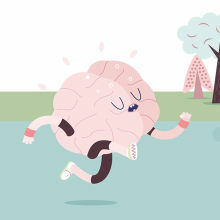 The brain doesn’t run in parallel when it comes to paying attention. As they waited for the square to appear, the monkeys focused their attention on the location where the cue had just flashed on the screen, all while the researchers recorded the animals’ neural activity in the frontal and parietal regions of the brain. Data from 97 recording sessions revealed cyclical patterns of neural activity in these areas, with peaks occurring at approximately 250-millisecond intervals after the cue appeared in a well-described pattern of oscillations known as a theta rhythm (Neuron, 99:P842–53.e8, 2018). Kastner’s team found that, in trials where the square appeared at the same location as the cue, the monkeys were most likely to lift the lever at the moments corresponding to peaks in those activity cycles. The results directly link brain activity and behavior, and indicate that “rhythms in brain regions that direct the attentional spotlight are predictive of behavioral outcomes,” says study coauthor Ian Fiebelkorn, a neuroscientist at Princeton University. In the second study, this time with human participants, Kastner and colleagues worked in collaboration with a group led by Robert Knight at the University of California, Berkeley. The team recorded neurophysiological data from 15 presurgical epileptic patients, each of whom had up to 100 electrodes placed over their frontal and parietal brain areas. 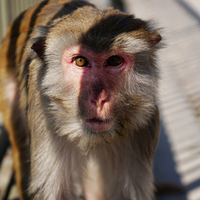 In two experiments, patients performed the same basic target-detection task that the macaques had carried out. Data from this study, too, showed a direct link between neural activity oscillations in the frontal and parietal lobes and performance on the task (Neuron, 99:P854–65.e5, 2018). The studies are the first to reveal that, although paying attention might feel like a constant process, this cognitive state is governed by waves of activation generated inside the brain. “This disconnect between what’s going on in our brains and what we experience was very surprising,” Kastner tells The Scientist. Even with this new insight, it’s unclear why attention would function in this manner. One possibility is that momentary lapses during a single task could allow for refocusing attention at times when other goals, objects, and events require it. 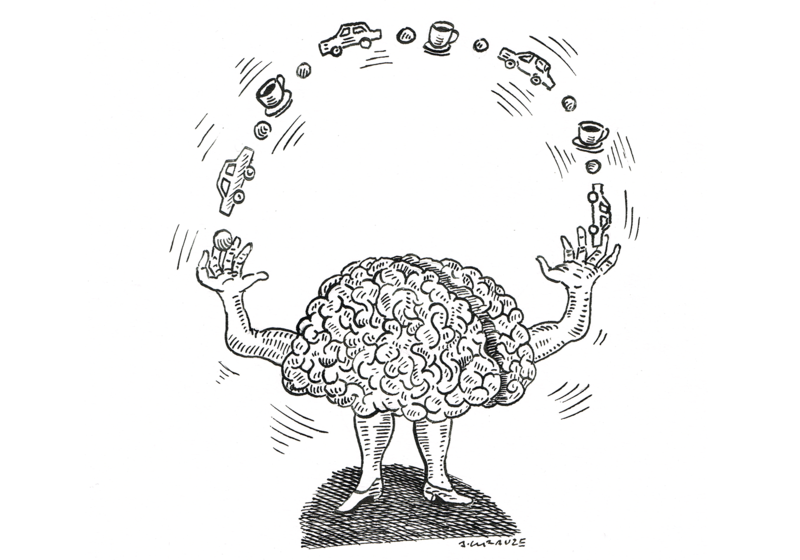 While driving, for example, it’s possible to attend to the coffee, the road, and the conversation—not because the brain is attending to all three simultaneously, but because it can quickly switch between them, says Randolph Helfrich, a postdoc in Knight’s lab who led the study with human participants. “We show that the brain doesn’t run in parallel when it comes to paying attention, but rather rapidly sequentially,” he says.